The ice creams sold for about $3 each. If they cost the vendors $1 a piece, they'd have to sell 100 of them in order to make a $200 profit, not even counting gas and other expenses. 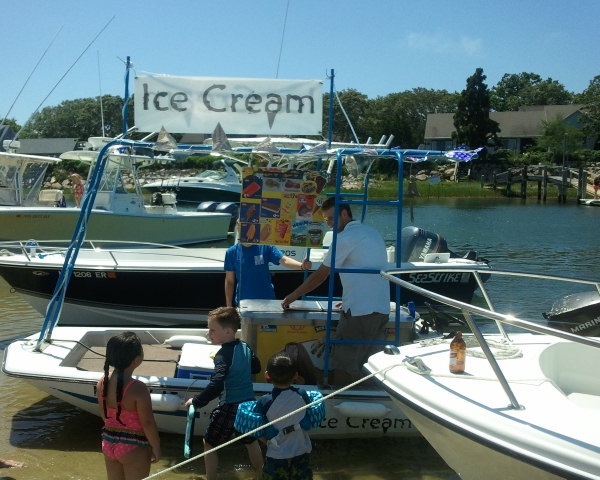 And considering it was a two man crew, "ice cream boat worker" doesn't seem like a very lucrative position.